A strikingly brand-new interior designed two-bedroom, two-bathroom first floor apartment set within this newly converted, warehouse style, gated development on the River Thames. The apartment boasts a bright open plan kitchen and living area, master bedroom with en suite shower room and an additional guest bathroom. 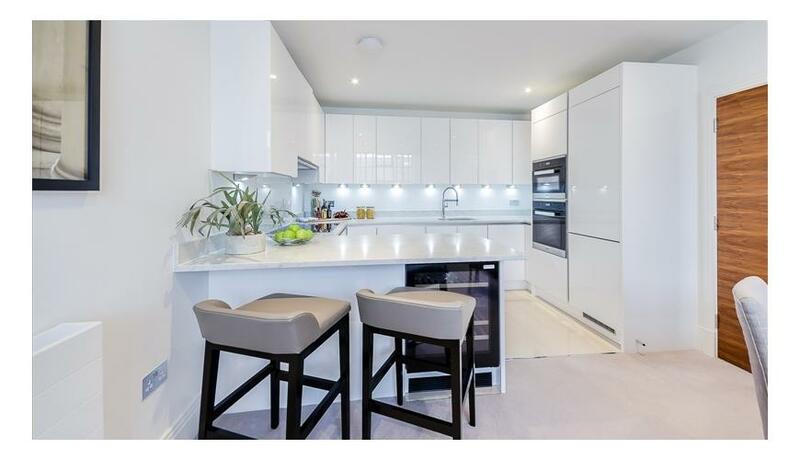 The fully fitted Metris Kitchen is complete with Miele appliances including an integrated dishwasher, washer/dryer, full height fridge freezer, oven, hob and integrated extractor fan as well as a Caple wine cooler. The bathrooms comprise of full bathroom suites with underfloor heating whilst the bedrooms boast bespoke mirrored wardrobes and automatic lights which are sure to impress. Further benefits of the apartment include a Crestron audio visual system, a digital video door entry system and pre-wiring for Sky + TV. Wharf is also conveniently close to several transport links including Hammersmith Overground and Underground Station.